BOO! Are you frightened? 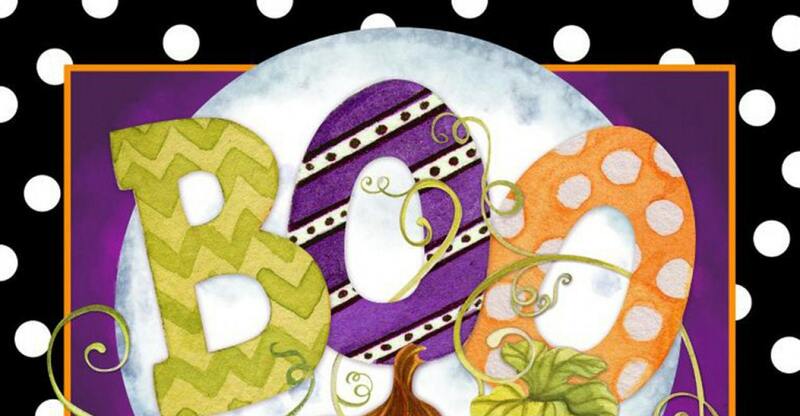 This delightful Halloween panel is such a delight and what a statement it will make in your Halloween decor. 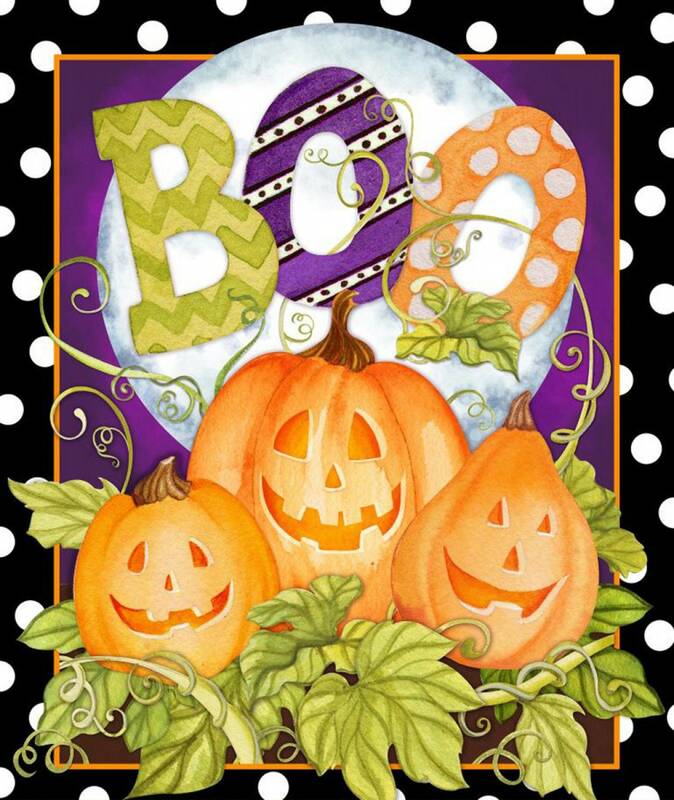 Perfect as a halloween wallhanging or turn this fun panel into a quilt for a little ghost or goblin. 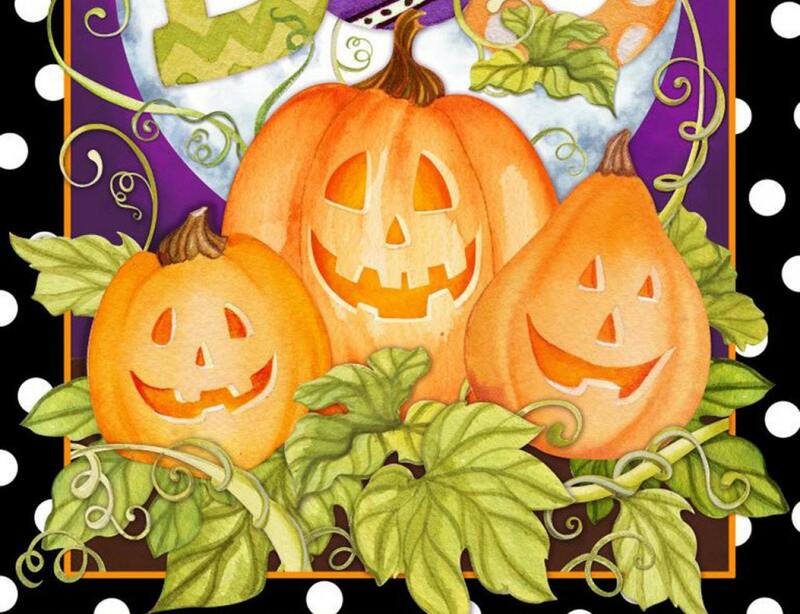 The silly pumpkins are sure to make someone giggle! Wonderful colors of black, orange, purple, green and gold! All fabric from The Quilted Nursery Fabric Store is cut directly from the bolt in continuous yardage. We now offer fractional yardage cuts for your quilting, sewing and crafting needs. All orders ship in 24 hours and shipping overages are refunded on shipment. Love this panel! Great seller.